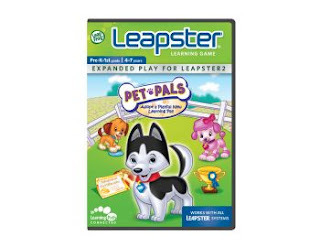 Leapfrog has some pretty amazing deals going on for the holiday season- prices are slashed on a ton of their popular learning games. 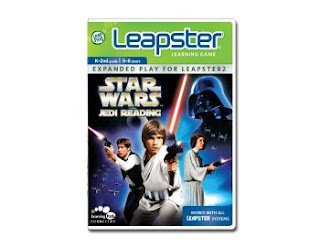 Our fairy godmother Kim from Hormone-colored Days recently sent us a snazzy green Leapster 2 and two new games: Disney The Princess and the Frog and Star Wars Jedi Reading and I swear the little hand-held doohickey saved our road trip, while imparting some reading and math basics. Seriously, how cute is that? I love the way she found a silver cord to attach the stylus… Anyway, in the end I decided that Roo was kind of in the grey zone between Leapster and Didj, the handheld Leapfrog game system for grade schoolers. 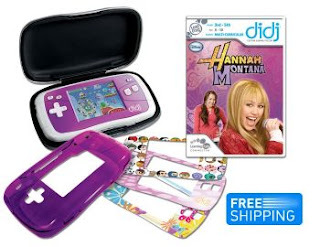 I opted to order her a Hannah Montana Didj gift pack that features the pink Didj, pink customization kit, chic black patent carrying case and Hannah Montana game for the bundled sale price of $59.99- the same price as the pink Didj is on sale for by itself! Shhh, don't tell Roo! 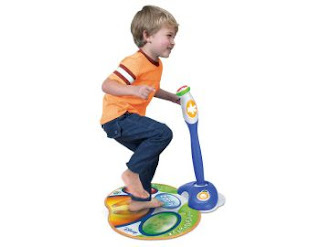 Other Leapfrog items that we own and love already include the Tag Reader and Tag Junior, both of which are on super mega awesome sale at Leapfrog now, too. I am especially fond of the original Tag Reader, which is now also available in a 32MB model. Roo is a HUGE fan of the Tag Learn to Read Phonics Book Series: Long Vowels, Silent E and Y which features six books to help early readers build confidence. I frequently find them tucked into her bed at night! 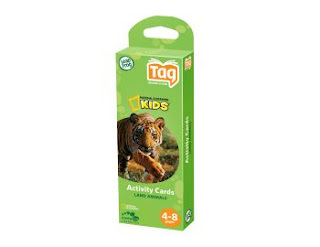 The Tag National Geographic Kids Activity Cards would make a great stocking stuffer and teach kids facts about animals while letting them hear their real sounds. So cool. Zippity Learning System, an interactive learning system that plugs into the TV and lets your preschooler dance and play with their favorite Disney characters. I know, I know, I am a totally mean mommy for saving it but doesn't it seem like a total Christmas morning type of thing? If you agree, it is on sale for $55.99 (from $79.99) while supplies last. The Zippity comes with eight built-in games featuring popular Playhouse Disney characters from Mickey Mouse Clubhouse, My Friends Tigger & Pooh, Little Einsteins and Handy Manny. 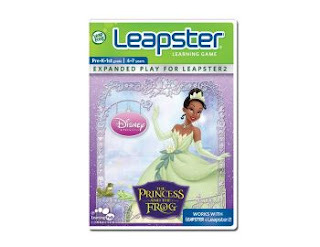 There are also additional games that are on sale for $17.49: Disney The Princess and the Frog, DIsney/Pixar Cars and Disney Princess. I'm having visions of sugarplum Jaspers dancing in my head! 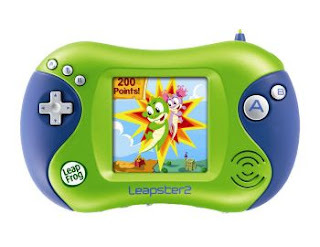 Disclosure: Leapfrog gave Kim the Leapster 2 and two games which she graciously handed down to us since her boys are already super geniuses. Genii? We bought one of the games. We received the reading toys to review but have purchased many of the books of our own accord. Ordered the pink Didj with our own moolah, too, but the Zippity was a freebie. None of which had much bearing on this review since I would only endorse the stuff if we liked it, which we do. And I thought you might like to know about the sales, just in case you have young'uns in need of learning via toys to shop for. No one asked me to tell you about that stuff. You are too kind. It was really more of an age thing. I have to agree that LeapFrog has great games and some amazing holiday sales. I bought a FlyPen (for older kids) on superduper sale the other day, based on a tweet from @leapfrog. I'm so glad your family is enjoying the product. Awesomesauce! I need to look for that Jedi reading game for Jobes.